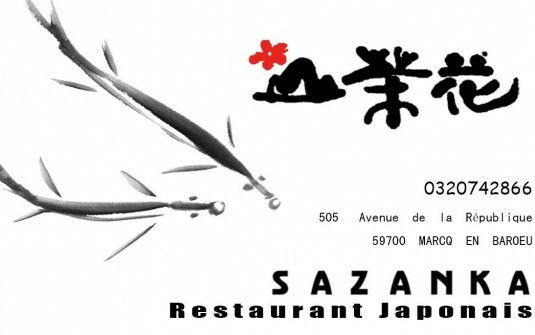 Located in Marcq en Baroeul, the Sazanka restaurant is open from Monday to Saturday, from 11:30 to 14:30 and from 18:30 to 23:00, to make you discover the Japanese gastronomy, Sunday is possible under reservations. Our restaurant guarantees you fresh products as well as a quality service, take-out or on site, close to the Tramway, the station Saint Maur. The restaurant is also available for all types of events (birthdays, business dinners ...). For further information or request for privatization / booking, please call 03 20 74 28 66.venez live an exotic and delicious moment in a magical atmosphere ... you will not regret it ... soon. ..